WOW! Truly premium Chocolate Cake ingredients that can also be used for Cannabis Brownies. That would be great enough, but this incredible Cannabis Cake, or is that Cannabis Brownie, can be baked or eaten raw. Talk about having it your way! Add a couple of drops of Natural Flavors and you'll have an incredible Cannabis Cake creation. Mix together all ingredients until well blended. Press into a Brownie mold and refrigerate. Delicious with Coconut, natural flavors, nuts or dried fruits. Ingredients: The Original Sprouted Super Flour, Organic Sprouted Buckwheat, Sprouted Almonds (pesticide free), Organic Mesquite Pod Powder, Micro-Fine White Chia Powder and Agave Inulin, Organic Cacao, Organic Coconut Palm Sugar, Organic Raw Sun-Dried Cane Juice Crystals, Organic Coconut Flour, Organic Coconut, Raw Brown Rice Bran & Germ, Organic Maca Powder and Himalayan Crystal Salt. 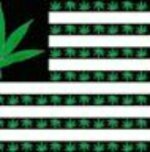 You can read the entire Washington Marijuana Law If you are already a Medical Marijuana Patient with a Medical Marijuana card, then you already know the laws. If you're considering recreational use of Marijuana, then know the law, so you don't wind up on the wrong side of the law. If you ever wind up needing legal help but don't want to dish out thousands of dollars for defense, this incredible Self Help Information on How To Win In Court will be a real blessing. Have Any Cannabis Recipes Stashed? People love mouth watering sweets and Cannabis edibles, if you have some favorites that you'd love to share, it might make someone's day! Food or marijuana bud photos are great! Clarence Thomas and Bill Clinton." - Jay Leno quote on Marijuana"